Sepang, Malaysia (AP) — Lewis Hamilton took pole position for the Malaysian Grand Prix with another brilliant drive under pressure on Saturday, while title rival Sebastian Vettel’s misery continued as he quit early in qualifying after losing power on a straight. Having struggled in all three practice sessions, finishing no higher than fifth, Mercedes driver Hamilton suddenly found the pace he needed to take the 70th pole of his career ahead of Kimi Raikkonen. Vettel will start from last in the latest bitter blow for Ferrari. Max Verstappen qualified third ahead of Red Bull teammate Daniel Ricciardo, while Hamilton’s teammate Valtteri Bottas was fifth. It was Hamilton’s fourth straight pole in Malaysia, fifth overall and seemingly one of the toughest. He held a towel on his face for several moments and still seemed breathless before answering questions, his shoulders rising and falling slowly at one point as he took a long, deep breath. There were heads in hands in the Ferrari garage as Vettel came back in the first part of qualifying, having not even set a time. At least Raikkonen saved face, finishing just 0.045 seconds behind Hamilton’s time. Raikkonen turns 38 later this month, but the 2007 Formula One champion has been showing admirable form recently. Verstappen celebrated his 20th birthday with a fine drive. He must make Raikkonen feel old, considering that Raikkonen raced against Verstappen’s father — Jos Verstappen — when making his F1 debut back in 2001. Verstappen secured third place in China — the second race of the season — but has not been on the podium since and has failed to finish seven races, mainly because of engine problems. Ferrari had swapped Vettel’s engine after third practice. Engineers changed the internal combustion engine as a precautionary measure after detecting an electronic malfunction on his car. Vettel was on his first lap when his engine cut out. The mishap was even stranger, given that Ferrari had looked very strong in the third and final practice earlier Saturday with Raikkonen leading from Vettel. In Friday’s second practice, Vettel was fastest ahead of Raikkonen. Vettel did not incur any penalty for the engine change because it was the fourth one of the season — the maximum. 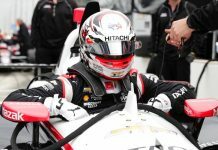 Any more will incur grid penalties. There were comforting words from Vettel to his mechanics, and he chose to look on the bright side of a complex situation such as saving tires for race day. Two weeks ago, Vettel wasted pole in Singapore, causing a first-turn crash that took out Raikkonen, Verstappen and McLaren’s Fernando Alonso with him. It handed Hamilton the championship initiative, extending his lead to 28 points. 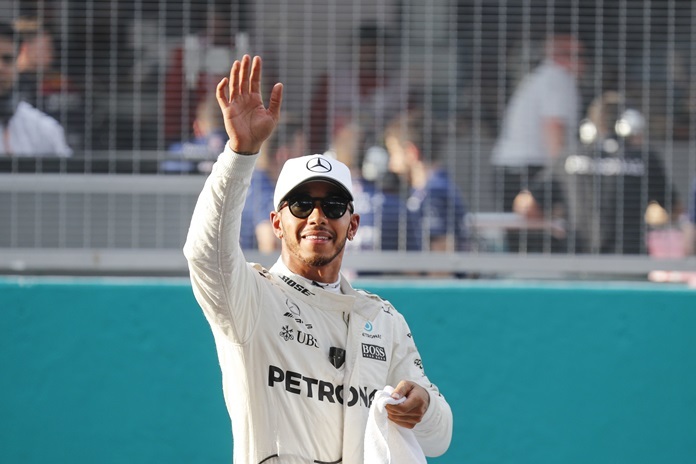 Another strong performance could see Hamilton clinch a fourth straight win, eighth of the season and 61st overall, and take a giant stride toward a fourth F1 title with five races left after this. One small crumb of comfort for Vettel is that, despite strong qualifying, Hamilton has only won once here — in 2014. Last year, Hamilton was cruising to victory in Sepang when his engine cut out late on and he retired. Vettel could be forgiven for hoping for a similar ending on Sunday.